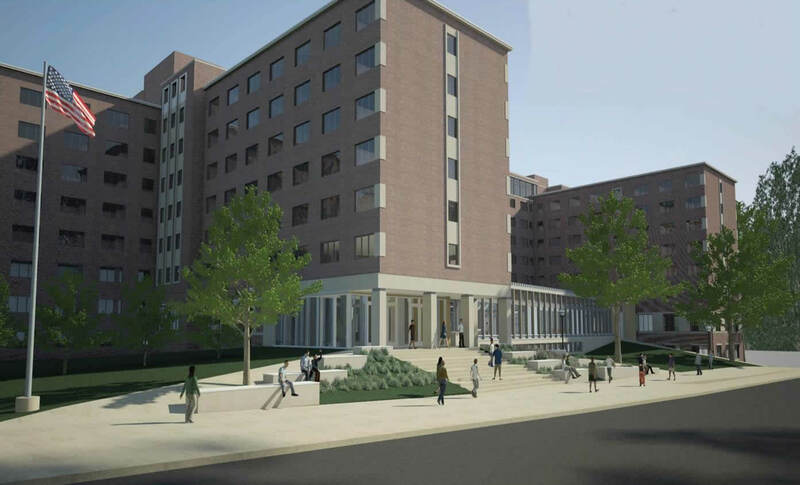 The project will renovate approximately 106,700 gross square feet of space, including the ground and first floors of South Quadrangle. The renovation will provide expanded student dining facilities for the Central Campus neighborhood and updated bathrooms throughout the building. New and reorganized spaces will revitalize the residence hall and create much-needed spaces for student interaction and community development, such as group study spaces, music practice rooms, and refurbished lounges. Infrastructure improvements within the renovated areas include: new plumbing, heating, cooling, ventilation, fire detection and suppression systems; wired and wireless high-speed network access; and accessibility improvements.